I don’t have much of a green thumb. Actually, I don’t have one at all. But I don’t think I need one if I’m growing herbs, right? Lucky for me, companies have made it easy for people -like me- to grow their food/herbs indoors. And that’s just what I have decided to do this year, grow my own herbs. If you’re thinking of doing the same, here are some tips you might find helpful. Location. Find the spot with the best light possible. The planter is key. Avoid clay planters as they tend to let the soil dry out too quickly. Metal, wood or plastic work just fine. Choose herbs Hardy herbs tend to be the safer bet. Herbs like sage, mint and thyme are great. H20. Remember not to over water. You want soil that is moist but not damp. Watering once a week should do. Wait. You want to make sure the plant has mature leaves before picking/snipping away. Always let the leaves grow back before picking again. 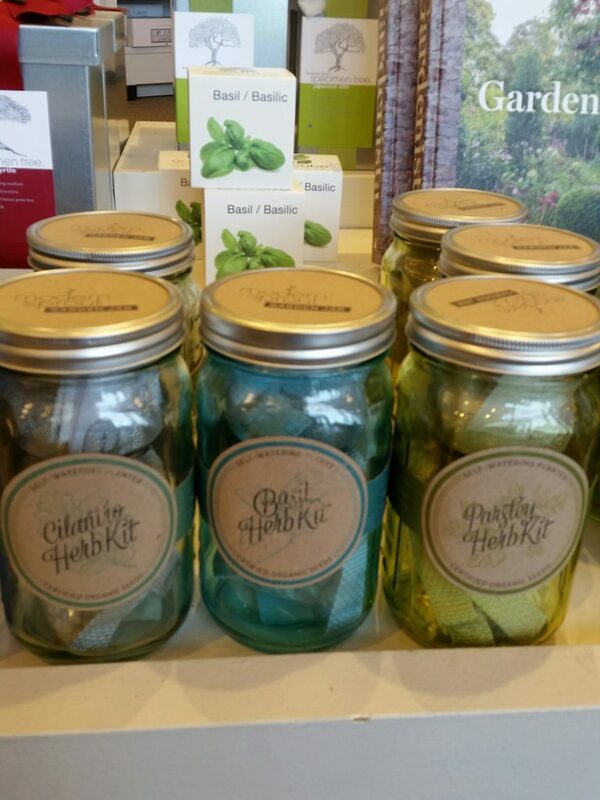 If this seems like too much work, then you can easily pick up some of these ready to grow jars at Chapters Indigo. If you’re already growing your own herbs indoors…Bravo!